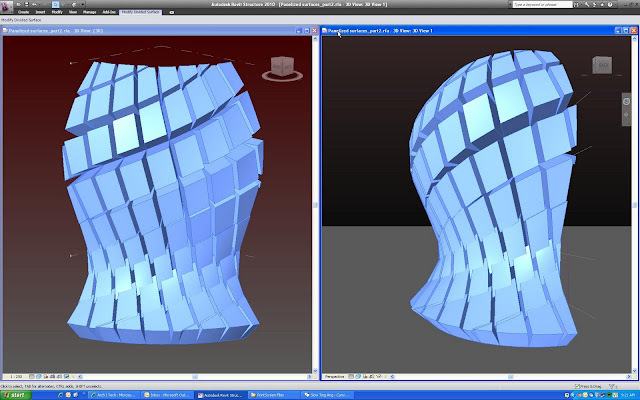 I really like the curtain panels in Revit. They're fun. 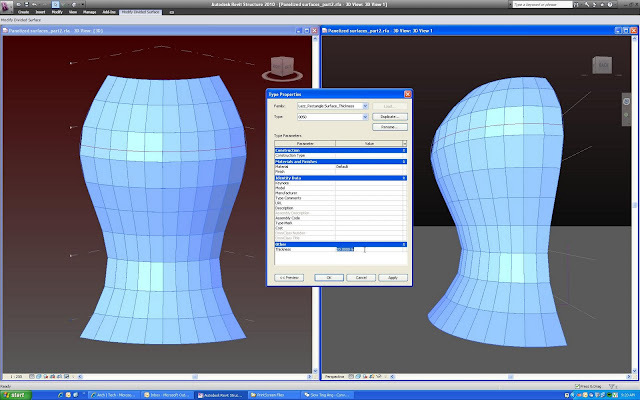 While playing with the templates, I realized that I could add thickness. 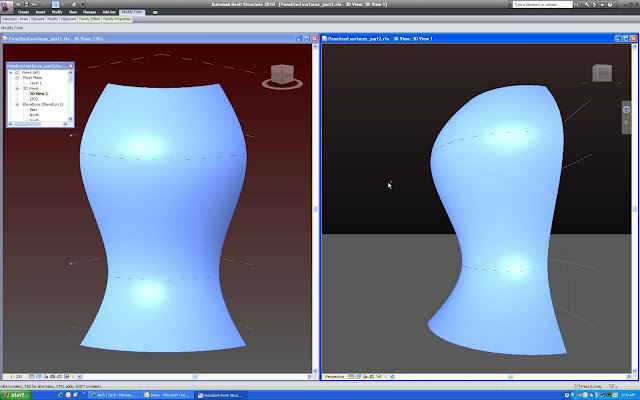 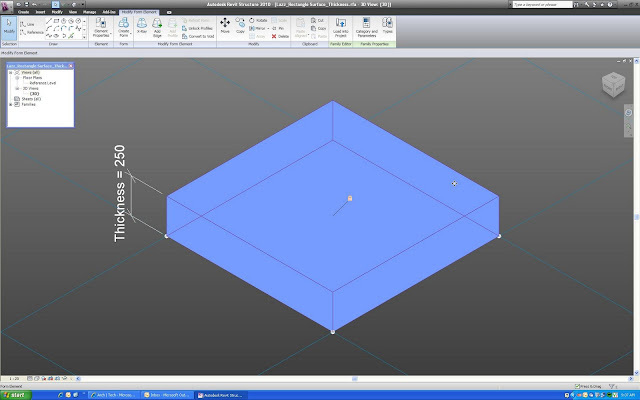 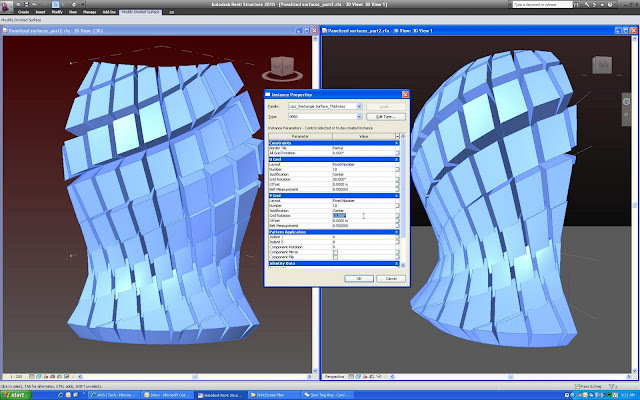 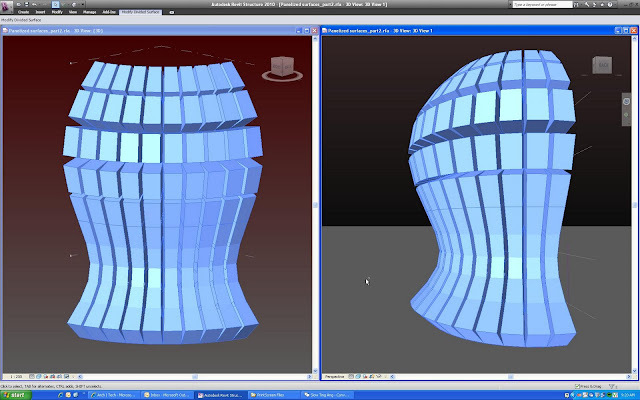 Apply the pattern surface, in the properties panel I adjust the thickness to 20m...Nothing succeeds like excess. Reader Email: Millenium Hilton WTF?